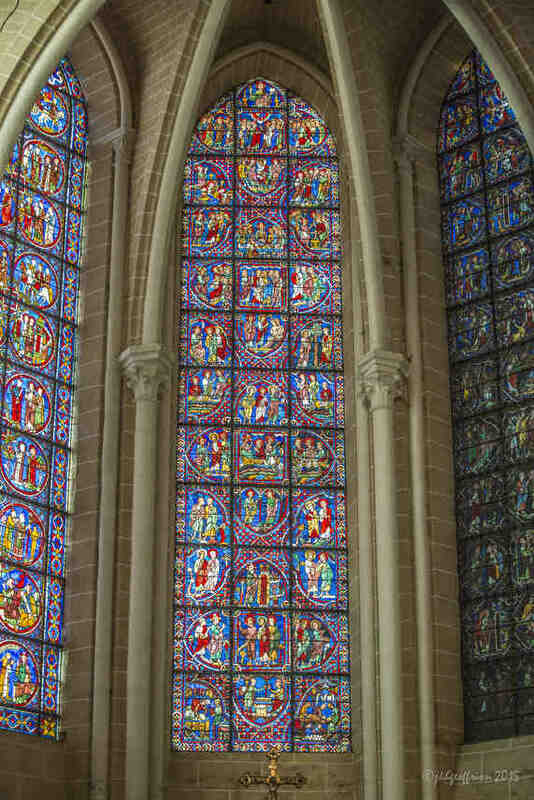 What does a person need to experience in order to give her or his life to God? There may be many answers, but the most important is the one God uses in any given life. God, I pray that you will find a way to connect deeply with each of the people I love. Come, Lord Jesus! What prayers are emerging from your heart, mind, and body? Pray them now. Let them lead you where you need to go. 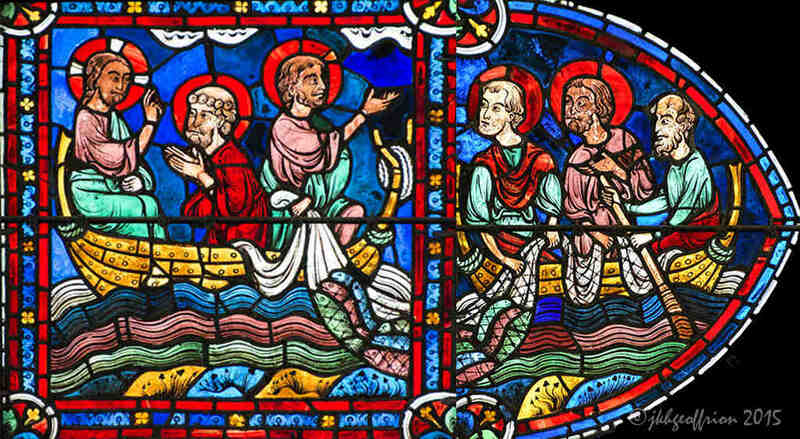 Photos: Jesus and the miraculous catch as depicted in the thirteenth century stained glass window at the Chartres Cathedral in France.